About three weeks ago I decided to take it upon myself to do something good for my health. I realized that I will turn 40 this year and my body might need a little extra calcium and iron. 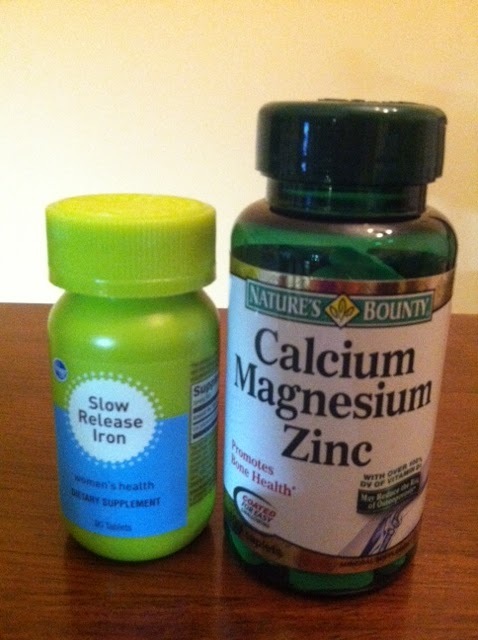 I started to take a supplement that contained calcium, magnesium and zinc all in one. I also took a slow-release iron pill. What I did was take one of each, every other day for a total of 4 times. Why only 4 times? It turns out that the combination of vitamins were exhausting me to the point that I had to take multiple naps each day and didn't want to cook, bake or do anything I enjoy. I was tired beyond tired and that is unlike me. I am a very high-energy person and I knew something was wrong. I decided to stop taking the supplements and drink a ton of water. Wouldn't you know that within 4 days, my energy came back and I felt like myself again! From now on I will use the right food as my supplement. I have never been able to take vitamins in combination because they do wonky things to my body. If I take a multi-vitamin, I will end up with flu-like symptoms. Crazy, huh? i did around the same age as you; i also got headaches. once i stopped taking all those supplements - now i only take a multivitamin and fish oil, I was good. I guess when we think we're getting we think its time to bulk up on the supplements. Weird! I don't take vitamins much. Just every once and a while, but I haven't had those type of symptoms. You just have to do what works best for you! I've taken vitamins for years without noticing any side effects. Just goes to show how different we all are. I take the Women's Ultra Mega vitamin and I can notice when I don't take them. Like this week I am dragging because I ran out of them. I really do notice a difference when I take them. I'm not sure about you but for me, vitamins are really effective. Like my vitamin d3 supplements and immune support. They are my energy boosters and it's really helpful for me. I have taken multivitamins tablet but i experienced pain in my stomach after taking it. Doctor stopped multivitamin i think it's happen because i am IBS patient.